Perfect weather, constant sunshine, and friendly people– who wouldn’t you want to attend college in Los Angeles? But planning a group campus tour in Los Angeles can be tricky with urban streets, tight and limited parking, and hectic traffic. Luckily, GOGO Charters can help you arrange the perfect transportation for groups of any size, from small groups who need a minibus to large groups in need of a charter bus, and everything in between. Not sure what kind of bus you would need? Read our complete guide to bus types to get started. UCLA is one of California’s most prominent schools. Students who are interested in a variety of studies would thrive in this well-rounded environment. Popular majors include business economics, biology, psychology, political science, economics, and psychobiology. UCLA offers tours for high schools, community colleges, and community-based organizations for groups of 10 to 100. Due to UCLA’s popularity, you should submit a request up to four months in advance. Be prepared to provide alternate dates in case the school is unable to fulfill your original request. The school does not offer tours on Sundays. 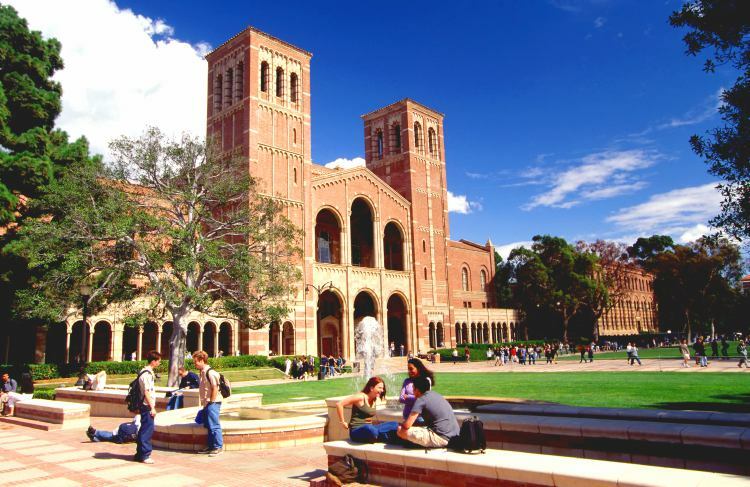 Take the stress out of group tours at UCLA by letting professionals handle the transportation. Due to recent changes with parking, bus parking is no longer available on campus. Your charter or minibus will drop your group off on Charles E. Young Drive North, north of Westwood Plaza and parallel to the North Athletic/Intramural Fields. Your bus can park on Sepulveda Boulevard, north of Constitution Avenue, approximately three miles from the drop-off location. If you work with a charter bus company like GOGO Charters, your driver will be local and able to handle parking on their own while you enjoy your tour. 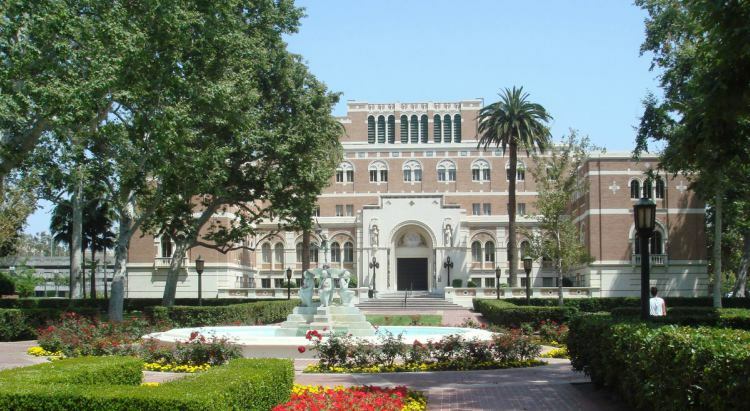 Situated just a few miles from downtown LA, the University of Southern California is California’s oldest private research university and is home to the world’s most powerful quantum computer. Home to 44,000 students, the university offers a variety of different majors, the most popular being business, management, marketing, engineering, and more. USC offers tours for groups of up to 70. One tour guide is allocated for every 35 guests per tour, meaning groups larger than 35 will be split up into smaller groups. Tours are available by a first-come, first-serve basis by calling their tour guides at 213-740-6605. Keep in mind that the frequency of group tours is reduced throughout February, March, and April due to other campus visit programs. Tours are not typically given on Saturdays or Sundays, but USC provides information for self-guided tours. Since USC does not allow buses to park on campus, they advise groups to enter through the Downey Way Entrance (formerly Gate 6), located at Vermont Avenue and 36th Place. Your bus can then proceed down 36th Place/Downey Way until it reaches Watt Way, where it will make a right and drop students off in front of Vivian Hall on the southwest corner of the intersection. After exiting the bus, your bus can park at Exposition Park on Figuero Street, where parking is $30 a day. If you’re working with a bus rental company like GOGO Charters, your experienced driver will handle the parking logistics while you focus on your tour. Located in the heart of Los Angeles, Cal State LA is one of the 23 universities in the California State University system. With a comprehensive list of majors, this college is the prime location for students of all interests who crave the urban setting of LA’s streets. Cal State LA offers tours for high school and middle school students Monday through Friday. Tours can accommodate groups of 10 to 50. 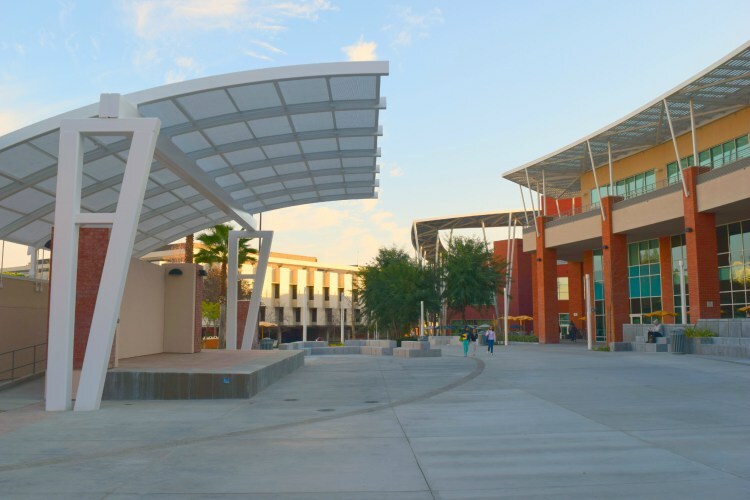 In order to schedule a tour, you can contact their office by phone at 323-343-3175 or email at tours@calstatela.edu with your group’s information. Reservations must be made at least 48 hours in advance. Parking is not available for buses Monday through Thursday and buses are responsible for their own off-campus parking. However, your bus can drop students off in front of the University Student Union on State University Drive. Your driver can find parking and wait until it’s ready to pick you back up so you won’t have one worry about the logistics. Students looking for an education in the Jesuit and Marymount traditions will feel at home at Loyola Marymount University. Located on the Westside of Los Angeles in the Westchester neighborhood, LMU parents six college and is one of the largest Roman Catholic universities on the West Coast. 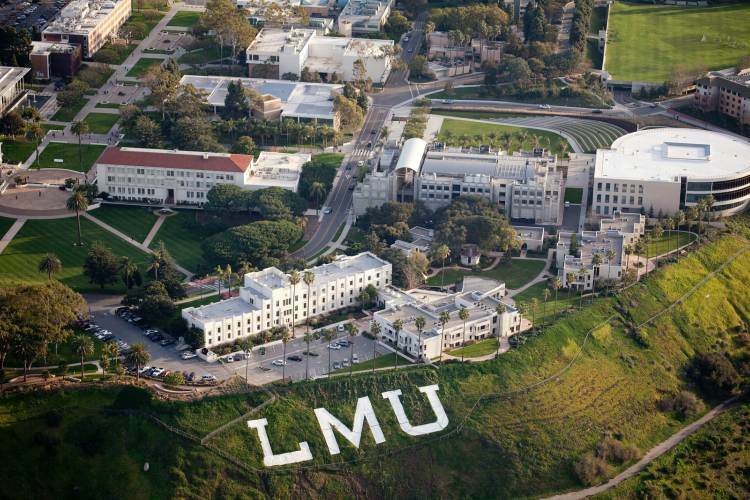 Groups of 10 to 50 high school students are welcome to tour LMU with a reservation. Group tours can be scheduled three weeks in advance and occur Monday through Friday throughout the year, except in the summer time. 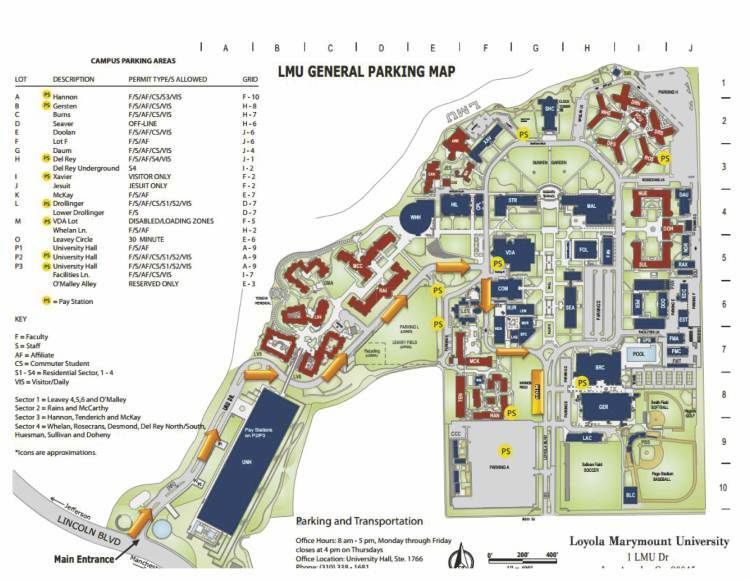 LMU allows buses to enter and park on their campus for group tours. Buses can enter and leave through the main entrance on LMU Drive and Lincoln Boulevard. Your bus can load and unload your group off at the curb next to Hannon Field and remain parked there upon your return. Parking is free as long as the driver remains seated in the bus. 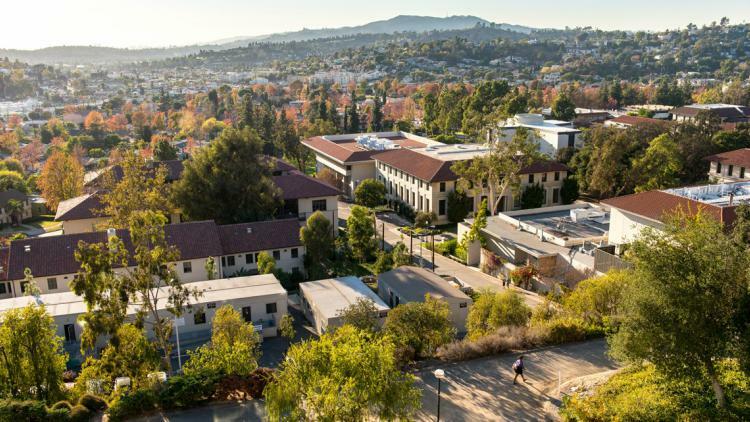 Nestled in the Eagle Rock neighborhood of LA sits Occidental College, a top ranked private liberal arts college. With a high freshman retention rate and a wide variety of majors to choose from, students love Oxy for its focus on the cultural and intellectual integration of Los Angeles. Oxy welcomes high school student groups of 10 to 50 to tour their campus. Group visits are available upon request and occur on Tuesdays, Wednesdays, and Thursdays at 9:45 am and 1:00 pm. You can email tours@oxy.edu to schedule a group tour on a first-come, first-serve basis. Buses can drop students off in front of the Office of Admission (Collins House), where they should meet at least 10 minutes before your scheduled visit. Buses are not allowed to park or unload groups in the Visitor Parking lot, but you can find parking along Campus Road. Alternatively, your knowledgeable driver can find parking on their own until the tour is finished. Let GOGO Charters help match you with the perfect bus for your group campus tours. We accommodate groups of all sizes for school groups and more. Unsure of it can fit in your budget? Read our helpful minibus pricing and charter bus pricing guides to get an idea, or call us at 1-855-826-6770 to speak to an experienced reservation specialist.